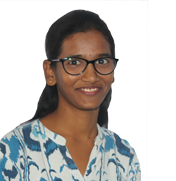 Pragathi Tangella has pursued Bsc(MPC) in Nalanda Degree College in Nalgonda. She had attended the LEAD orientation in her degree college, in which she participated in various activities. After the orientation she took various initiatives, she was awarded as best LEADer in LEAD valedictory 2K18. She was part of LLP camp which is held for 10 days where she was inspired for taking new initiatives. Through the camp she got experience in various fields. Pragathi wanted to develop her soft skills so she joined Deshpande education trust as a fellow. Now, Pragathi has joined the lead team to build the LEADers of her kind and to contribute in the development of society.